TCB launched the new GSULR300 M30 corner shear wrench at this annual event attended by some of the sharpest minds in the bridge sector. The GSULR is a special short-nosed corner shear wrench designed specifically for use in narrow splice joints. 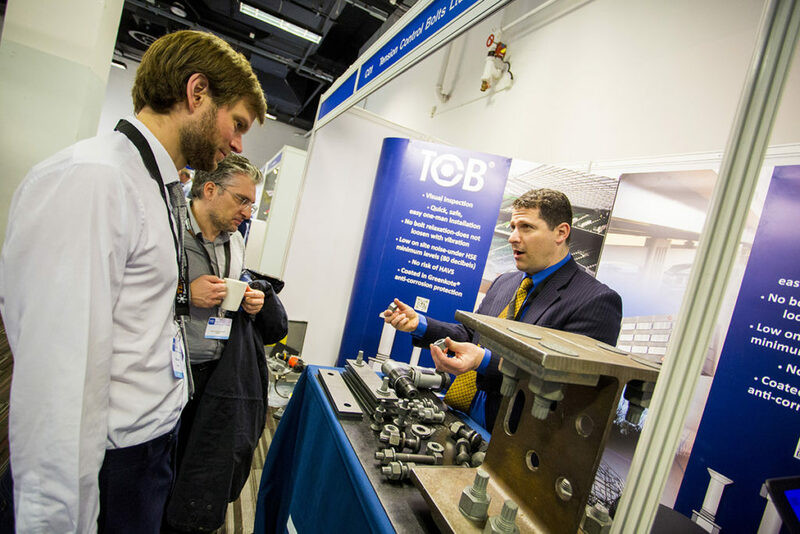 Hot Topics debated and discussed at Bridges 2018 included HS2 bridges; some attendees were unaware that Weathering Steel TCBs are readily available in M30 as well as M24 diameters and we were able to reassure them. A great event and TCB have booked the same stand for 2019. Save the date – 14th March 2019 – Ricoh Arena Coventry.